 A galvanized steel cab dipped with a protective E-Coat and sealed with urethane clear coat.  A frame system offering 110,000-psi heat-treated frame rails, frame fasteners and a precision frame-squaring process incorporated that ensures accurate axle tracking. 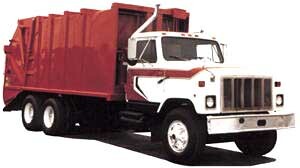  An exhaust system, air tanks and fuel tanks positioned for maximum ground clearance and to provide a fully usable CA (cab to axle) for body and PTO mounting/ servicing. International Trucks, 455 N. City Front Plaza, Chicago, IL 60611. Tel: 1-800-44-TRUCK; Fax: 312-836-2192.